Handmade Or Mass Produced Jewellery? What Would You Choose? One of the main issues in the jewellery trade, when you are an individual jeweller who hand makes your pieces, is competing with the mass produced jewellery market and bigger brands. I often get asked to make pieces which customers have seen in a big brand jewellery shop or a design that they have seen online but they want it cheaper. Unfortunately it is extremely hard to compete with the big boys as they can get things in bulk and stock reproduction jewellery. While a jeweller who hand makes the pieces will only have a one off, limited amount of samples to show and will be individually hand making your piece to your own specifications. They won’t have a massive supply of diamonds or precious stones and metal to show you as they will order it in, especially for your commission. With the popularity of Bake Off and The Great Sewing Bee, emphasis is moving to handmade, locally sourced and ethnically made products. However, the words “handmade” or “hand crafted” or “hand finished” are getting miss used by brands and online stores. With the growth of online selling, it’s easier to purchase jewellery direct from your own home, without having to meet the seller. It opens up more choice for you the consumer, however are the websites actually telling the truth about how and where it’s being made? So how will you know if it is handmade? One thing to note is when you go into a high street jewellers, they have a nice range of finished jewellery in trays with lots of the same pieces in different sizes. They have members of staff who have excellent customer service and sales skills, however, they may not know the making process behind making the piece or specialist knowledge of where the stones and materials have came from or how long it took to make. 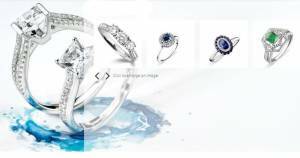 In the jewellery industry there are a lot of trade suppliers who have various catalogues of custom designs. You won’t get to change the design, except from a different shade of stone or other type of metal. These catalogue designs are cast (an initial mould has been created to reproduce that same design over again) and then they are hand finished in a production workshop and stones are set. Big companies outsource the production abroad to save money. The high street shops choose a selection of products from these catalogues to stock in their shops. Normally they won’t even have a jeweller in the store, they will send repairs off to a jewellery workshop elsewhere. With the growth in technology including computer aided design (CAD) and 3D printing, this also makes it easier and cheaper to reproduce products (if the designer or company has the money to invest in the software and equipment.) 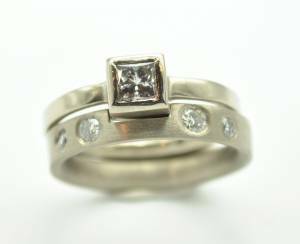 With the online jewellery stores you will sometimes see a render of a product, a computer drawing made to look like the real finished article but it’s not an actual picture of the piece of jewellery. I recently had a client come to me because the manufacturing process was not made clear to them. The company had told the customer that the piece would be handmade locally, but he was confused when told the piece had been held up in customs. He had to wait another 4 weeks to pop the question to his fiancee. The jewellers then told them that they outsourced their work abroad and the client wouldn’t have been none the wiser if it wasn’t for the delay, where does it matter where it was made? 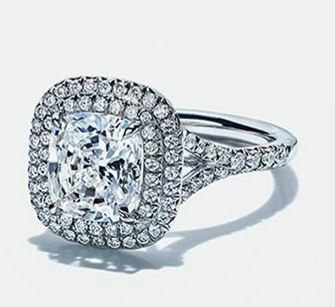 It would still have been a lovely ring? Companies need to be straight and honest with their customers about where the pieces are getting made. This particular client wanted to support an independent business and shop locally but the company had totally mislead them. So how can you make sure the piece is going to get handmade locally? You can source a small, independent designer maker, who has their own studio or shop with their own work bench. 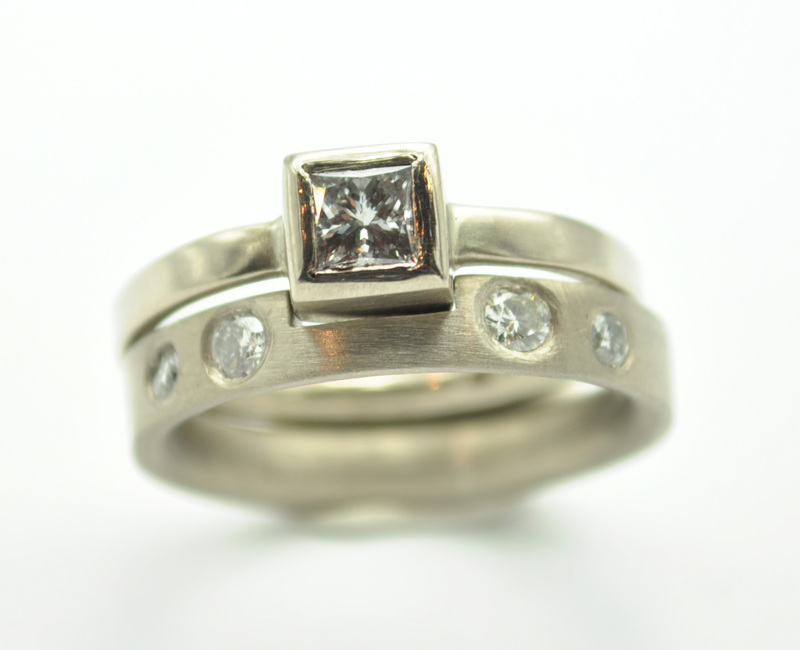 If the workshop is well kitted out you can be sure that the jewellery is handmade on the premises. If you are going to spend a lot of money on a special piece it’s worthwhile doing some research into the jeweller/company before going ahead. Look for customer reviews or testimonials on their website and if you can, meet them face to face by visiting their workshop. I hope this has increased your understanding of the making process a little bit more. And you will hopefully be more aware of how to spot the images you see online for a CAD render or an actual piece of jewellery. So much photoshop happens these days that it’s sometimes really hard to tell either way.